Ever wanted to hike a glacier? 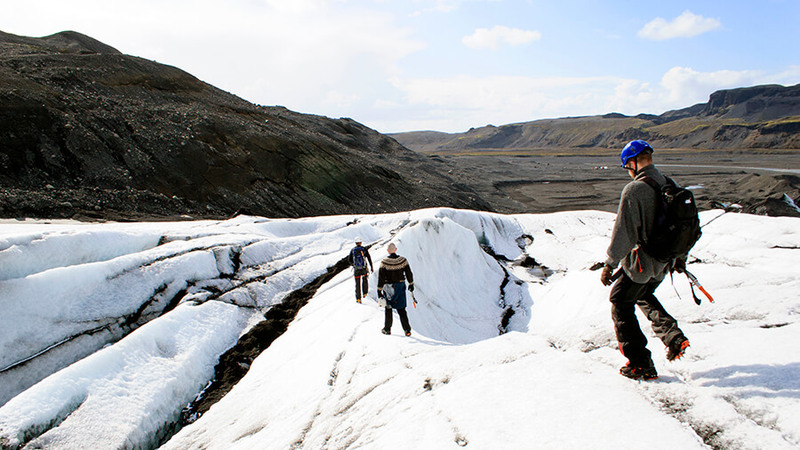 Come along on glacier hiking tours in Iceland on Sólheimajökull. Sólheimajökull is located on the south coast of Iceland. We will explore deep crevasses, jagged ridges and amazing ice sculptures. The spectacular surroundings of the glacier makes it an all-in-one adventure and we will even visit the beautiful Skógarfoss waterfall on our way back.